The Heraklion Archaeological Museum has been awarded a Special Commendation in the European Museum of the Year Award of the European Museum Forum (EMF), held in Zagreb, Croatia, on 3-6 May. 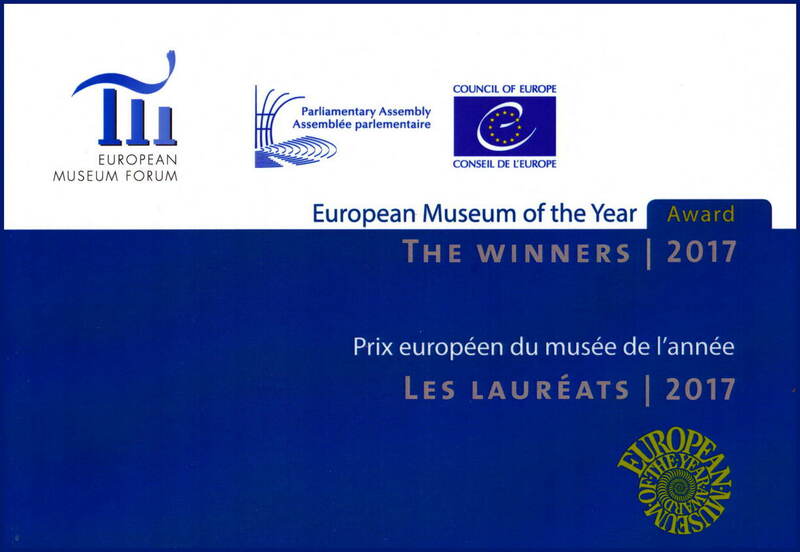 The EMYA Award goes to European museums that demonstrate a high level of professionalism and excellence in the experiential presentation of their collections, exploiting the possibilities offered by modern technology, and that attract a broader audience through various inclusive actions promoting European ideals and the wider benefit to society. The EMYA Judges appreciated the vital importance of the Heraklion Archaeological Museum for its presentation of the ancient history of Crete through the new museological narrative created in the framework of the recent re-exhibition of its Collections, and praised the Museum initiatives to make historical knowledge available to different social groups through innovative activities. The Heraklion Archaeological Museum was also nominated, together with two other European museums, for the Council of Europe Award, recognising the European dimension of the Minoan civilisation uniquely showcased in the Museum. 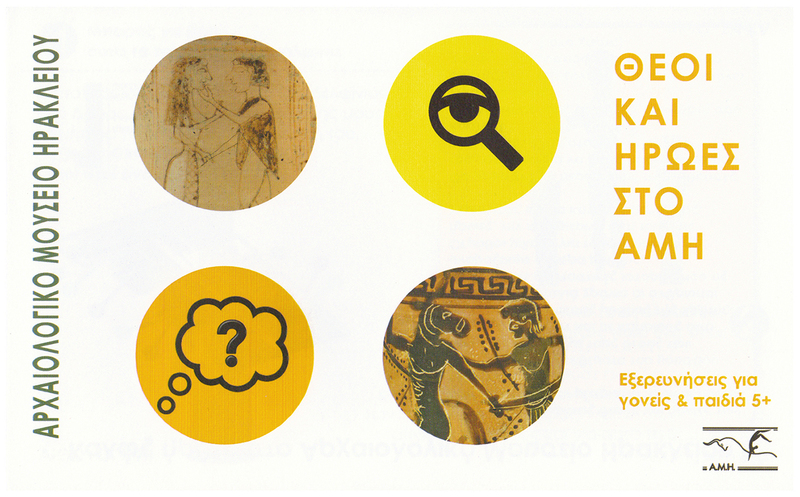 The Museum’s participation in the European competition was funded by the Region of Crete and Hersonissos Group Hotels. The application process was facilitated by the Historical Museum of Crete, while the 3-D print of the Minoan fresco copy accompanying the presentation was created by the Human-Computer Interaction Laboratory of the FORTH Institute of Computer Science. 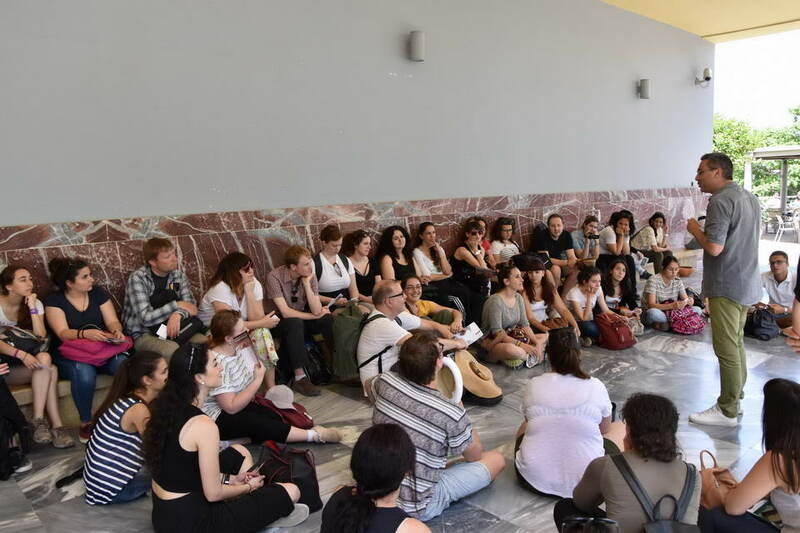 As part of the Innovating Training Aims for Public Archaeology Project, funded by Erasmus + and implemented by the University of Crete, participating students and staff of the Universitat Autònoma de Barcelona, Linnaeus University, Sweden and the University of Crete visited the Heraklion Archaeological Museum. Museum archaeologist Dimitris Sfakianakis introduced them to the conditions and challenges faced by the largest museum in Crete in its attempt to create channels of communication with the public. 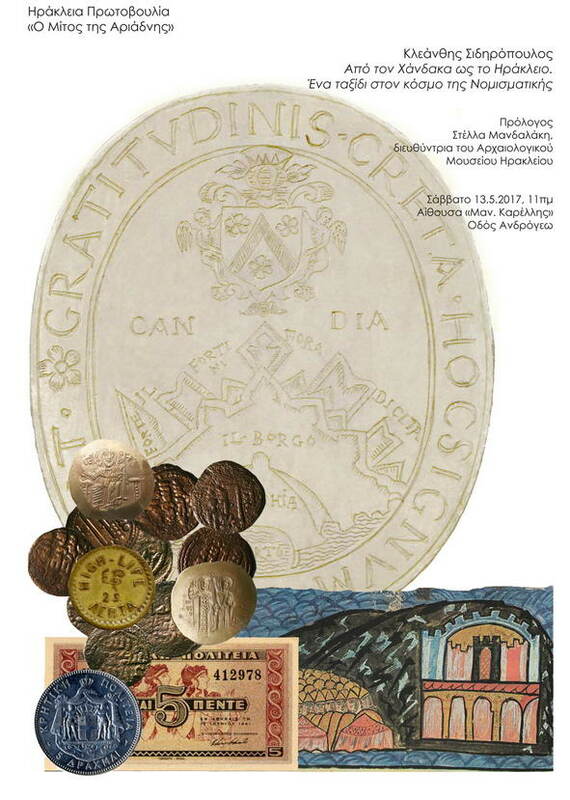 Public lecture by archaeologist Kleanthis Sidiropoulos titled “From Chandax to Heraklion: A journey through the world of numismatics”. This lecture forms part of the series “Ariadne’s Thread – Unwinding the History of the City of Heraklion, 20 Years On”, organised by Herakleia Protovoulia. Introduction by Stella Mandalaki, Director of the Heraklion Archaeological Museum. Saturday 13 May 2017, 11:00 a.m., “M. Karellis” room, Androgeo Street Municipal Building. 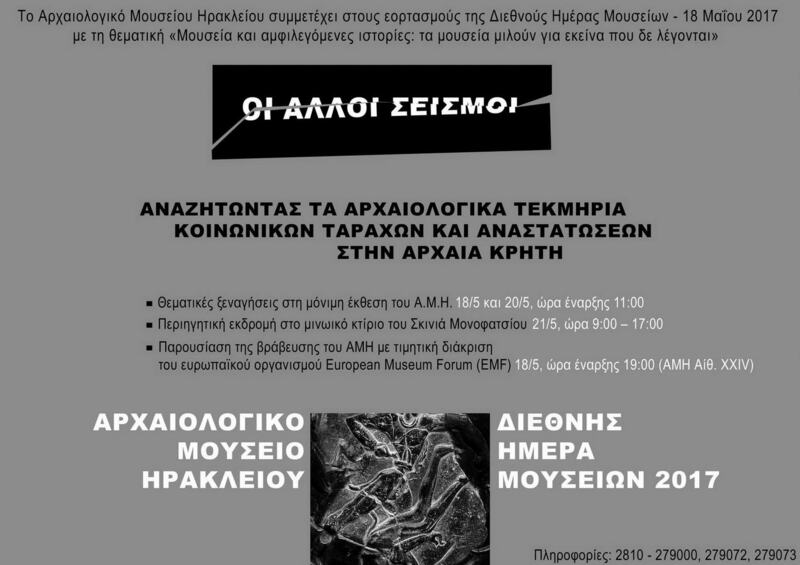 The Heraklion Archaeological Museum is participating in the celebration of International Museum Day – 18 May 2017 on the theme “Museums and contested histories: Saying the unspeakable in museums”. We are organising a series of events titled “The Other Earthquakes: Seeking the Archaeological Testimonies of Social Upheaval and Disturbances in Ancient Crete”. Events include thematic tours of Museum exhibits associated with this theme, and a walking tour of the Minoan building near the villages of Lagouta and Skinias in Monofatsi, Heraklion Prefecture. Walking tour of the Minoan building near the villages of Lagouta and Skinias in Monofatsi, Heraklion Prefecture, in order to connect the group of pottery vessels on display in the Museum with the building in which they were found. The action is implemented with the support of the Heraklion Ephorate of Antiquities, Heraklion Municipality and the Association of Cretan Tourist and Travel Agencies (actta.gr). Sunday 21 May 2017, 9:00-17:00. To book the tour, please call 2810 - 279000, 279072 and 279073. Places will be filled in order of priority. 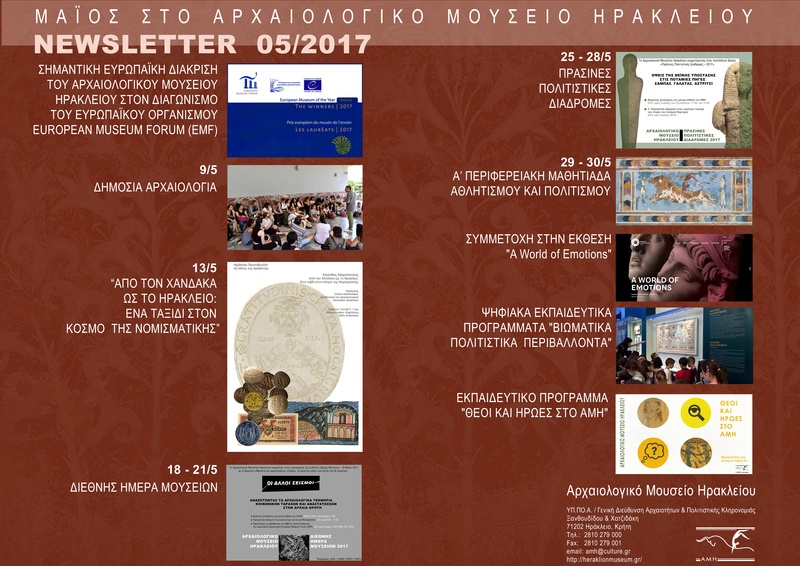 Presentation of the ceremony at which the Heraklion Archaeological Museum was awarded the Special Commendation in the European Museum of the Year Award ceremony of the European Museum Forum (EMF), held in Zagreb, Croatia, on 3-6 May 2017. Heraklion Archaeological Museum Events Room (Room XXIV). Thursday 18 May 2017, 19:00. The Heraklion Archaeological Museum, participating in the nationwide action “Green Cultural Routes – 2017”, is organising a series of events including thematic guided tours of the museum and a walking tour. The thematic tours, titled “Aspects of Divinity at the River Sources of Sambas, Galatas and Astritsi”, focus on three representations of human figures displayed in the Museum: the amorphous stone figurine from Sambas, the clay seated human figurine inside a house model from the Minoan palace of Galatas, and the torso of the huge Daedalic statue from Astritsi. The discussions of the figures in front of the Museum displays will conclude with a walking tour of the area where these objects were found, around the springs of the River Kairatos. 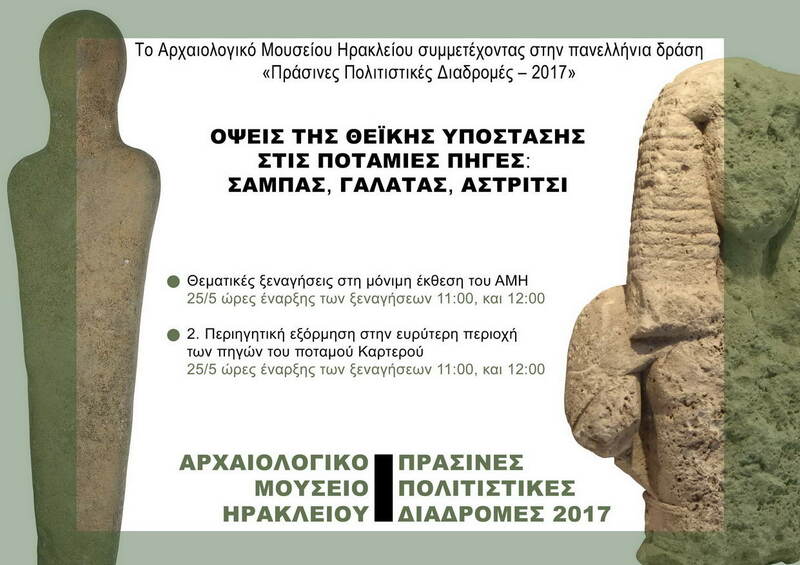 Two thematic guided tours of the permanent exhibition of the Heraklion Archaeological Museum, Thursday 25 May 2017 at 11:00 and 12:00. Walking tour around the springs of the River Kairatos, with stops at Sambas, the Minoan palace of Galatas and the gorge of Agios Ioannis in Astritsi. The action is implemented with the support of the Heraklion Ephorate of Antiquities, the Natural History Museum and the Association of Cretan Tourist and Travel Agencies (actta.gr). Sunday 28 May 2017, 9:00. To book the tour, please call 2810 - 279000, 279072 and 279073. Places will be filled in order of priority. PARTICIPATION IN THE EXBITION "A WORLD OF EMOTIONS"
The Heraklion Archaeological Museum participates, with the loan of objects, in the temporary exhibition “A World of Emotions. Ancient Greece, 700 BC - 200 AD" at the Onassis Cultural Center New York, 9 March - 24 June 2017. The Heraklion Archaeological Museum is participating in the 1st Regional School Sports and Culture Games organised by the Regional Directorate of Primary and Secondary Education. The Museum is providing thematic guided tours on 29 and 30 May on sports in Ancient Crete. 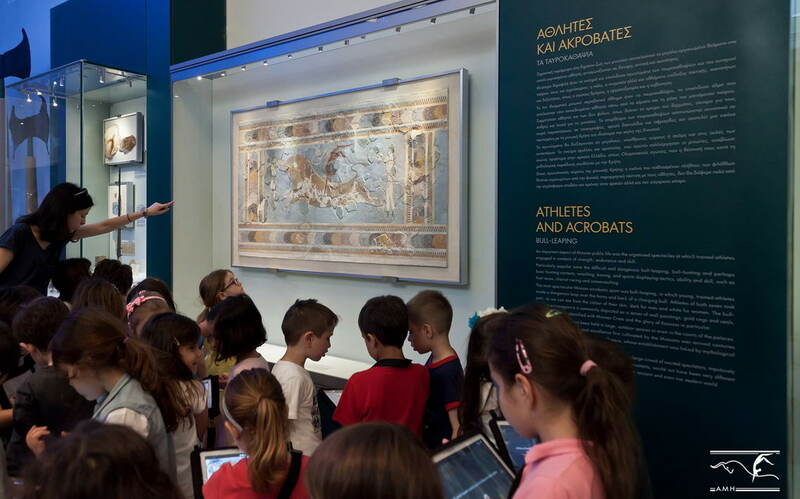 The school educational activities organised by the Heraklion Archaeological Museum were completed at the beginning of May. Approximately 1100 students at all levels of education took part in the Museum educational programmes during the current school year 2016-2017.